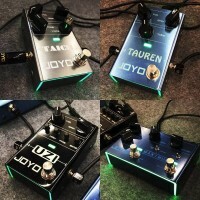 JOYO JF-318 Quattro Digital Delay, aka The Quattro, like the name suggests, it has four modes of delay with Copy, Analog, Modulation and a versatile filter delay. The maximum delay achieved is an impressive 958,3 ms ! 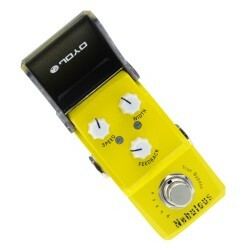 COPY is the standard digital delay sound, where the echo sounds as close to the original as possible. 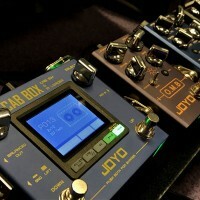 ANALOG sounds like the classic BBD effect, as found on other JOYO delay pedals. MODULATION adds a Chorus effect to your delays and makes them wider and deeper. FILTERED mode send your guitar through an adjustable Mid-Frequency filter before it gets delayed. This mode presents many interesting possibilities and you just won’t believe it is all coming out of a tiny little pedal. With four different modes to choose from no-one would blame you if you decided to have four Quattro Delays and used one for each mode, you'd also be able to fit all four on your pedalboard pretty easily as well! A hugely versatile delay pedal that can go from a simple slapback echo to a long spacious delay giving you endless options in regards to your chosen delay tone. Whether it's a simple Analog country style slap back, a crystal clear copy digital delay, a wonderfully luscious modulated delay or an intriguing and experimental filtered delay, the Quattro has you covered. Whether you choose to have one or many, the Quattro will quickly become one of your favourite pedals. Delay Time, Feedback, Mix ratio of wet & dry. 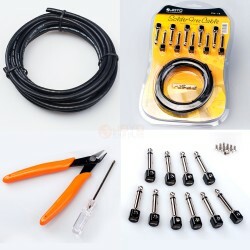 3m Velcro & Rubberised backings to fix to your board. 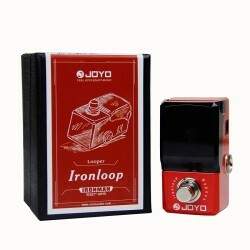 1 new mini guitar effect pedal from JOYO. 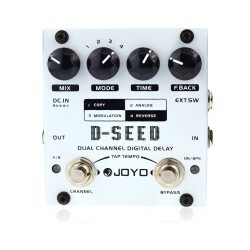 JOYO D-SEED is a very flexible delay pedal, with build-in TAP Tempo function, which can be i.. 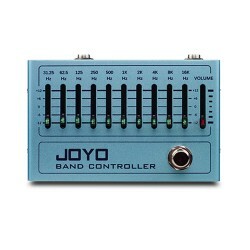 Product InformationJOYO JF-37 analog chorus has a very sweet chorus sound. A modulation effect cho..